Thank you for your interest in our unique aluminium geodesic domes. 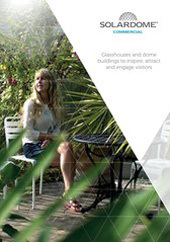 Our versatile range of glasshouses start at £6,950* for a 3.6m diameter dome, ranging up to £41,665* for a 10.1m dome. 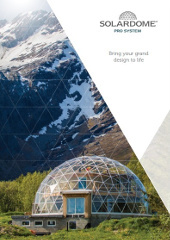 Our pioneering Solardome® PRO range allows for a bespoke build on a much grander scale, starting at £63,000* for a diameter of 7.2m, ranging up to 20m. To receive your brochure and price list, including our range of accessories, simply complete the form below. Upon signing up to our newsletter, you agree that you have read and accept our terms and conditions. * Price exclusive of VAT and supply only to UK mainland. 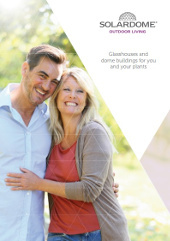 Which brochure do you require? 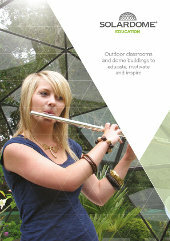 : * Domestic Education Commercial PRO If you require an second brochure please request it in the comments box below. Salutation: - Please select - Mr. Ms. Mrs. Dr. Prof. Miss Rev. Major Sir Lt. Cdr Col.